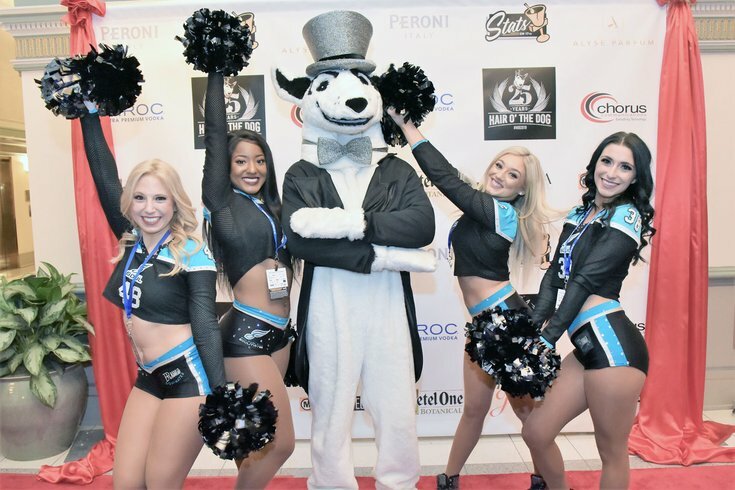 The Hair O' The Dog mascot poses with the Soul Football team Cheerleaders at the philanthropic Hair O' The Dog party which celebrated their 25th anniversary, Saturday, Jan. 19, 2019, at the Crystal Tea Room in Center City. 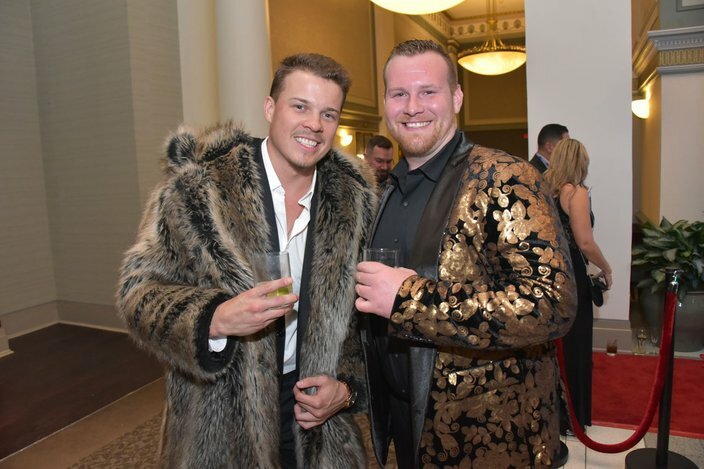 Daniel Cronin and Robert Molinaro, co-founders of Chorus Communications and Metrospect Events, held the first Hair O’ The Dog in 1994 as a fun and creative way to fundraise for nonprofits with 100 people at a venue in King of Prussia. 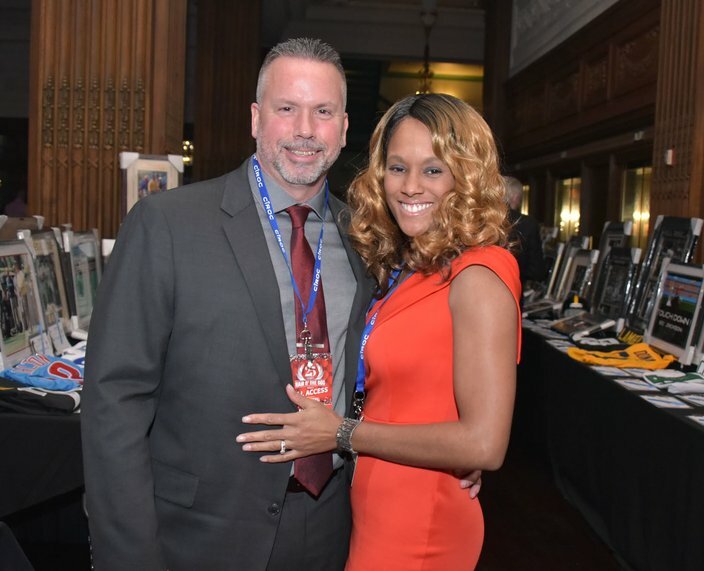 Fast forward to their 25th Anniversary celebrated Saturday night, January 19 at the Crystal Tea Room where 1,200 people attended. 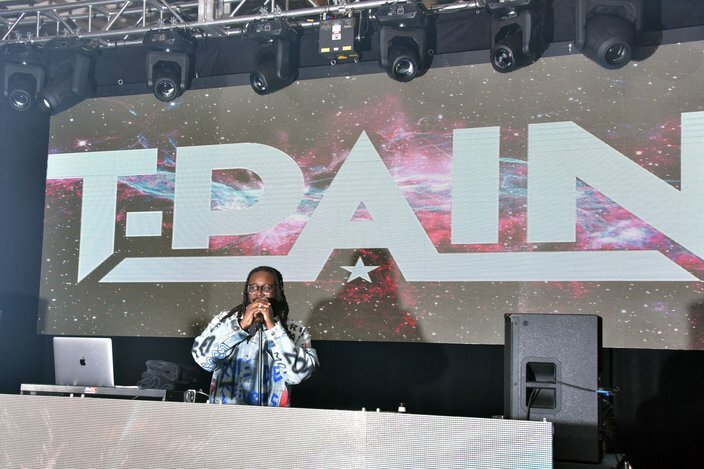 Headlining the evening was two-time Grammy Award winning artist T-Pain who performed at midnight during the 5-hour open bar and buffet event. Guests also danced to the sounds to DJ Party Favor, DJ Hollywood, DJ N9NE and DJ K Styles. City of Philadelphia representative Sheila Hess was on hand and presented Chorus Communications with a citation from the city. A portion of the proceeds went to Morris Animal Refuge—America’s first animal shelter and Philadelphia’s only privately-funded, open-admission shelter. 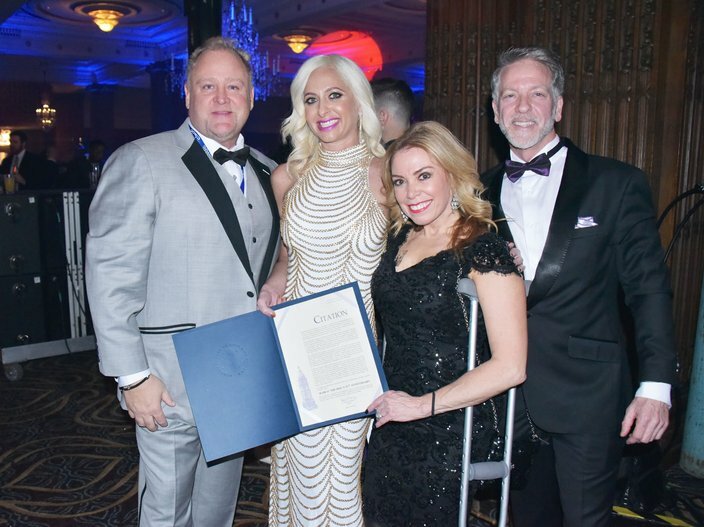 Daniel Cronin, co-founder of Chorus Communications, director of communications, Buffy Harakidas, with Philadelphia city representative Sheila Hess, and Robert Molinaro, co-founder of Chorus Communications, (left to right), at the philanthropic Hair O' The Dog party which celebrated their 25th anniversary of Saturday, Jan. 19, 2019, at the Crystal Tea Room in Center City. Headliner T-Pain performed some of his biggest hits at the philanthropic Hair O' The Dog party which celebrated their 25th anniversary of Saturday, Jan. 19, 2019, at the Crystal Tea Room in Center City. Sheena Bediako, NFL Alumni Philadelphia Chapter and Kendra Alyse, Alyse Parfum at the philanthropic Hair O' The Dog party which celebrated their 25th anniversary, Saturday, Jan. 19, 2019, at the Crystal Tea Room in Center City. Tony Bruno and Robin Austin at the philanthropic Hair O' The Dog party which celebrated their 25th anniversary, Saturday, Jan. 19, 2019, at the Crystal Tea Room in Center City. Corbin Kelly and Kevin Gress at the philanthropic Hair O' The Dog party which celebrated their 25th anniversary, Saturday, Jan. 19, 2019, at the Crystal Tea Room in Center City. Kathryn Sparacio, Damon Feldman and Dana Sabatini at the philanthropic Hair O' The Dog party which celebrated their 25th anniversary, Saturday, Jan. 19, 2019, at the Crystal Tea Room in Center City. Jewelz Entertainment gals danced for the crowd at the philanthropic Hair O' The Dog party which celebrated their 25th anniversary, Saturday, Jan. 19, 2019, at the Crystal Tea Room in Center City. 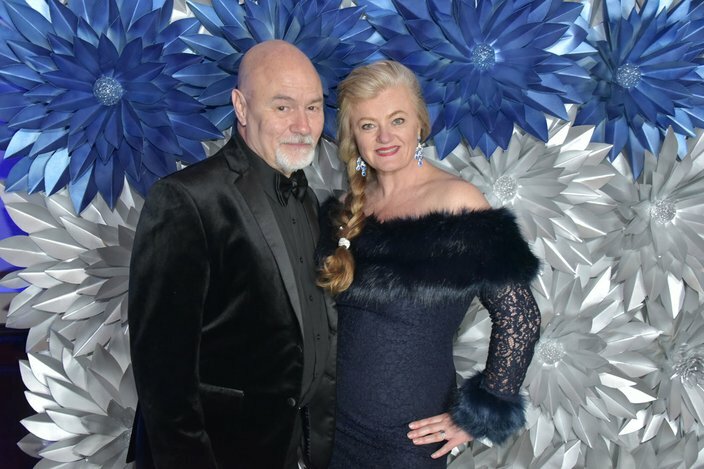 Rick and Amber Forwood at the philanthropic Hair O' The Dog party which celebrated their 25th anniversary, Saturday, Jan. 19, 2019, at the Crystal Tea Room in Center City. 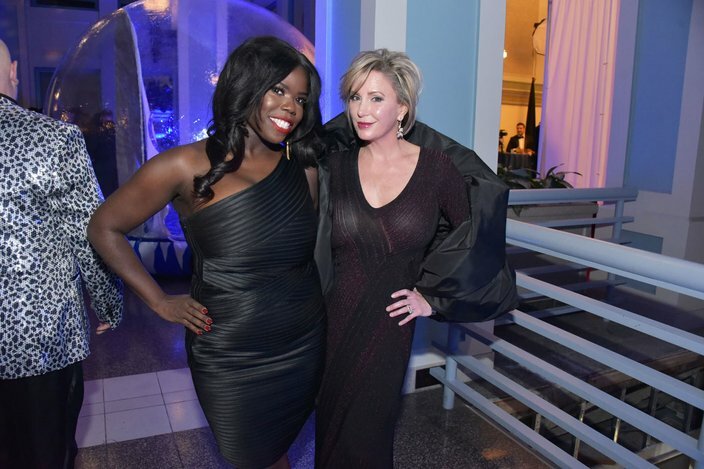 Mina Say What, co-host for the evening and Jennifer Sherlock of Jenna Communications at the philanthropic Hair O' The Dog party which celebrated their 25th anniversary, Saturday, Jan. 19, 2019, at the Crystal Tea Room in Center City.